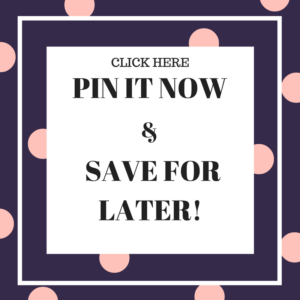 I try hard to plan our meals ahead and have everything on hand for the week but it isn’t always the case. For those nights when I have to get good food on the table fast, my go-to dinner is made with Wild Alaska Seafood. 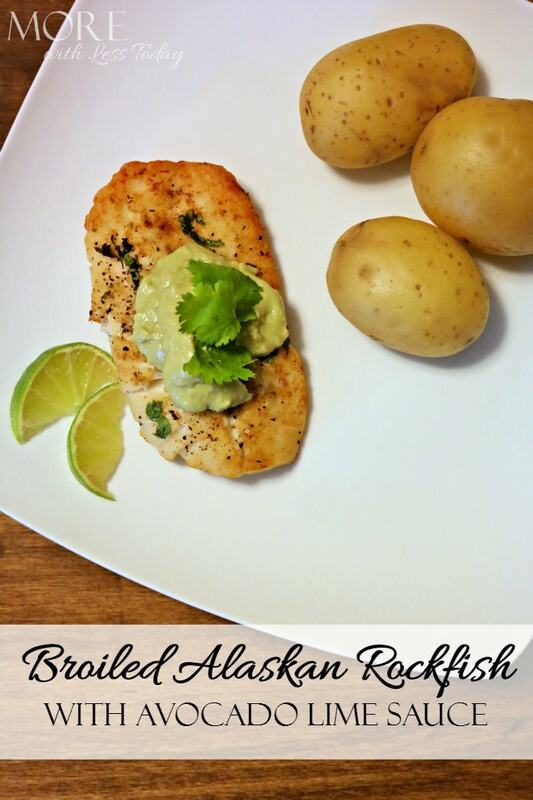 We never get tired of my Broiled Alaska Rockfish with Avocado Lime Sauce recipe, plus it cooks from frozen in less than 15 minutes which means I don’t have to worry about time for thawing if I am short on time. 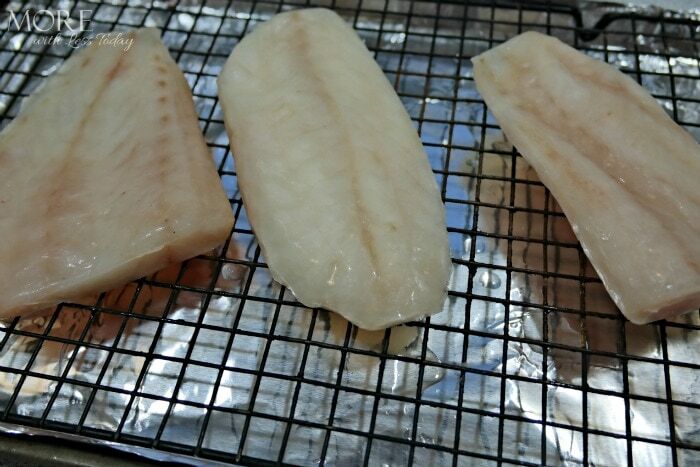 Remove your frozen fish fillets from the individual packages and rinse under cold water to remove any ice glaze. I like to cook them on a non-stick baking rack over a baking sheet lined with foil. Place the fillets on your baking sheet and lightly brush them with olive oil on both sides. Place the fillets in the oven and broil for 3 minutes on each side before adding any butter or seasonings. While the fillets are in the oven mash the avocado until smooth. Combine the mashed avocado with the Greek yogurt, lime juice, and seasonings. Set aside. Melt the butter and combine it with the juice from one lime. After the fillets have broiled for several minutes, remove them from the oven and brush the first side with the butter and lime juice mixture. Sprinkle with the seasonings and return to the oven, broiling them for an additional 4 minutes. Again, remove the fillets from the oven. Flip them and brush the remaining side with the butter and lime juice. Sprinkle with seasonings and top with chopped, fresh cilantro. Return to oven and broil for an additional 5 minutes. Remove from the oven and top with the Avocado Lime Sauce and serve with your favorite sides, like steamed veggies and baked potatoes. The cold water and natural environment of Alaska produces seafood year-round with lean flesh, firm texture, and superior flavor. 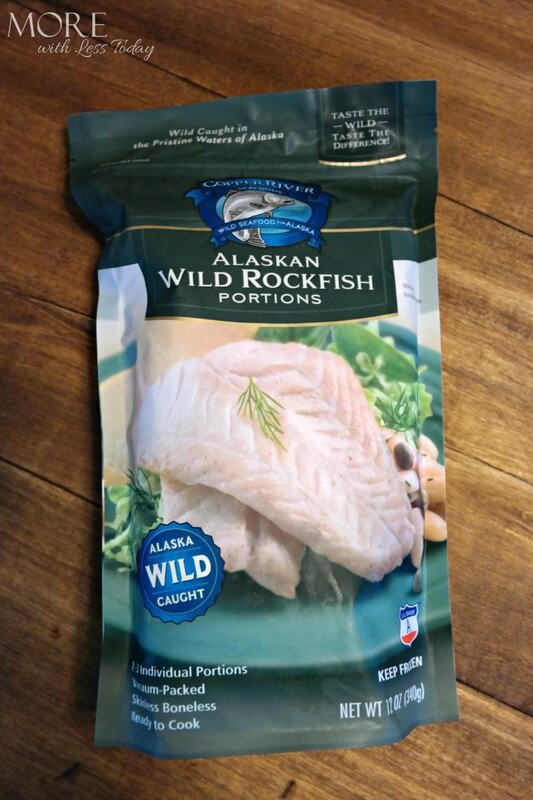 It’s full of high-quality protein, vitamins, minerals, and oils that are essential to good health which is a big reason why I love serving Alaska seafood to my family. It’s also high in protein, low in saturated fat, low in sodium, and one of the best sources of heart-healthy omega-3 fatty acids. This post is sponsored by the Alaska Seafood Marketing Institute but all opinions are my own. I don’t cook fish nearly enough. 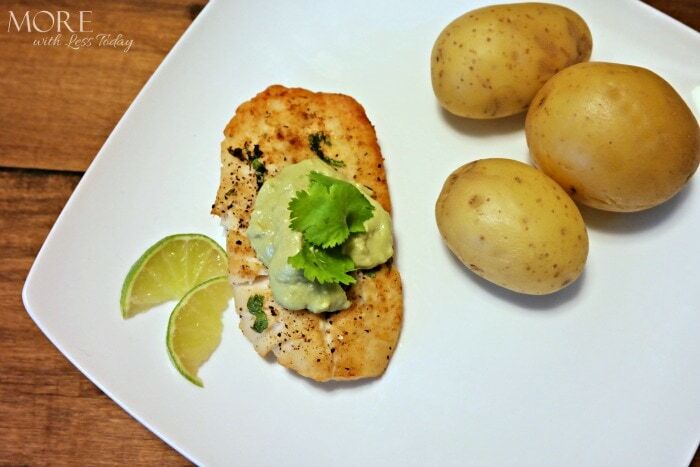 I love that combination of lime and avocado and haven’t thought to try it on fish before. It looks really great! I’ll have to see if my store carries this brand of fish. Now I know what I want for dinner tonight! Avocado on fish! mmmm! This looks like a great company worthy meal. I love the addition of avocado! It sounds easy enough, we have never really been a fish family, but I would like to start eating it more.